So that's my 2017 season officially over now. I've definitely had some highs and lows but I'm moving on to bigger and better things next year. 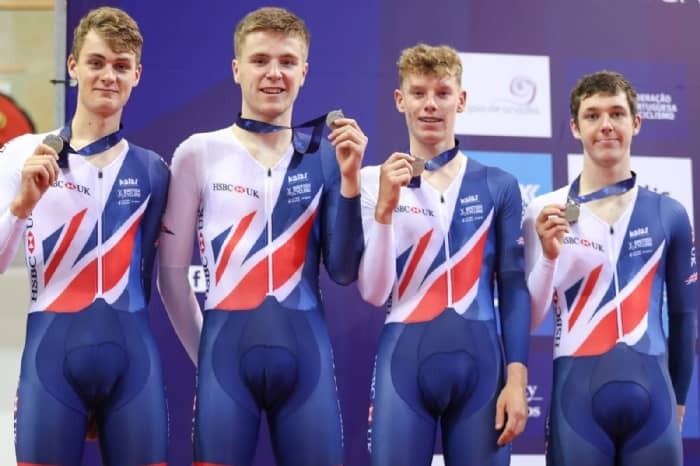 Thankfully I'm now allowed to officially announce my selection for the British Cycling Senior Academy for 2018, which is a great piece of news to end what was (on reflection) a great year. I may have fallen short of a few goals that I set myself but I've also outdone some expectations. I never expected to be finishing the year with a Senior British Title to my name for example but I hoped to have some better results in international road races. I was pretty miffed to have missed out on selection for road worlds but feel I made a pretty big statement winning two stages of the Junior Tour of Wales - the most prolific round of the junior national series. With those 2 victories in one day on top of my win at the Monmouth national series, I'm more than satisfied at my results on a British scene and they have ultimately helped me on my way to Senior Academy with my track results as a back up. So it's all go here, I'll be moving down to Manchester at the start of October to start the next stage in my career and I'm already back into training after some time off including a great time away in France. (without the bike) Despite a happy ending It's not been the easiest of years and I've spent a lot of time picking myself up off the floor and fixing broken kit, which leads to me a few thank yous. Without the Braveheart Fund I'd be in a bit of trouble trying to replace things that have been broken during races, and a thanks is again due to all at Hardie Bikes for continuing to support me and put up with all the challenging repairs I've given them. Cheers, Joe.